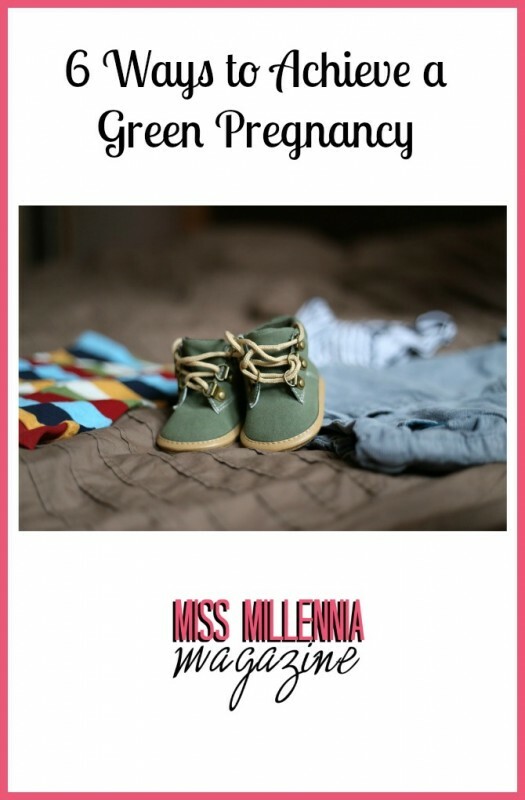 I’m very passionate about the environment, and in lieu of July’s theme I would like to share some ways to achieve a “green” pregnancy. What does having a green pregnancy mean? It means cutting down on waste products and carbon emissions, but also slightly changing your daily activities in ways that mutually benefit your baby and the environment. Thanks to an article by the Huffington Post, I was able to create a list of ways you can have a green pregnancy. Altering your grocery list can be a great way to have a greener pregnancy. What’s more, processed foods often contain genetically modified organisms that could potentially harm your baby. Processed foods are generally non-organic and packaged. Instead of take-out and quick microwave and oven frozen meals, simply try cooking more and buying organic. To learn more about the impact of genetically modified organisms and other processed foods, check out the documentary Food, Inc. This can be a great way to have an environmentally friendly pregnancy. By borrowing maternity clothes from friends, you are both reducing an environmental and economic impact. Also, you can invest in some bigger fitting yoga pants and tops to get you through the nine months instead of practically buying a whole new wardrobe that won’t fit you later. Baby consignment stores sometimes carry used maternity clothes as well, that way you can get decent quality maternity wear for a lower price than buying new. Walking that extra ten minutes instead of driving for three minutes is beneficial in a few ways: reducing carbon emissions from the gas in your car and helping your baby settle into a birthing position. Simple changes in your daily activities such as this one significantly help the environment and your baby’s health. Whether you talk to some friends that already have children or take a few minutes out of your day to set up a library card, borrowing books instead of buying print copies of your own greatly reduce the amount of trees cut down each year. Despite the common belief that bottled water is purer than other filtered water, this is not the case. You will still obtain great quality water simply by investing in an inexpensive carbon filter, such as a Brita, that automatically filters tap water. Carry a reusable canteen and you’re already cutting down thousands of pounds of plastic waste from water bottles! Learn more by checking out Tapped, a documentary on the environmental impact of bottled water. Cloth diapers are reusable and cut down thousands of pounds of trash and toxic waste produced by disposable ones. Cloth diapers are easily washable along with other clothes and can be hang dried. They are also much more economical than disposable diapers–check out how these mothers saved over 1,000 by using cloth diapers instead of disposable here. It is really simple to follow a green pregnancy and helps out the environment a lot. If you follow these steps you are sure to stay green.